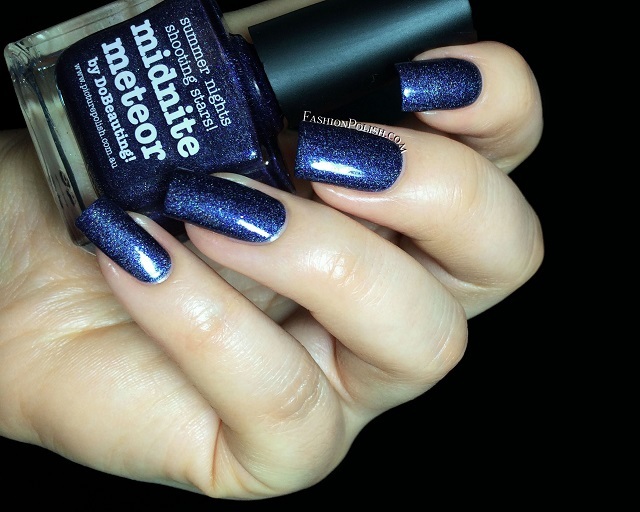 I got the some of the latest piCture pOlish releases to show you today! I'm still not over their fantastic multichromes and glitter/scattered holos (reviewed here and here) but I must say that the new "bijou holo" finish is pretty amazing as well! 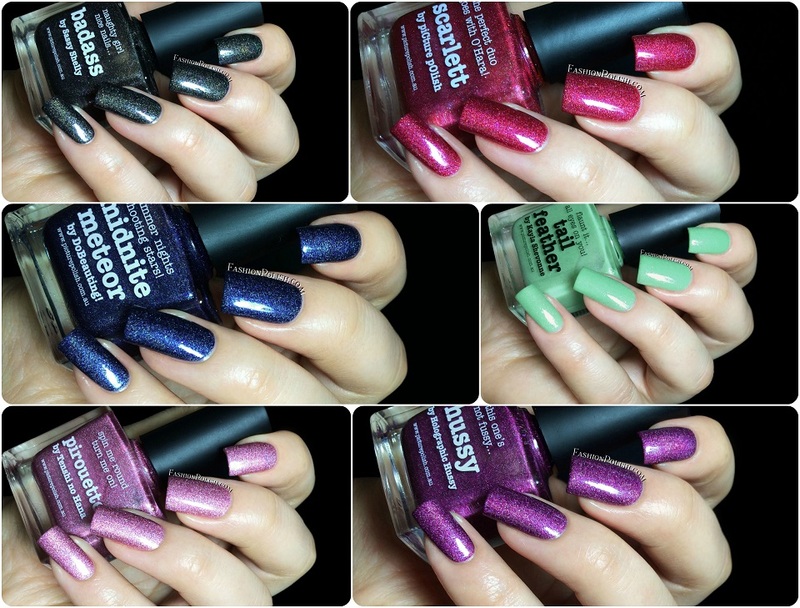 So, I have 6 polishes today, 5 new blogger collaborations and a 6th color, Scarlett! The new bijou holo colors are smooth and subtle liner/scattered holographics combined with an array of strong shimmer sparkles. Formula was really nice and easy to work with, I found them very pigmented, especially the darker colors, almost one coaters! I used 2 coats in all of my swatches below. 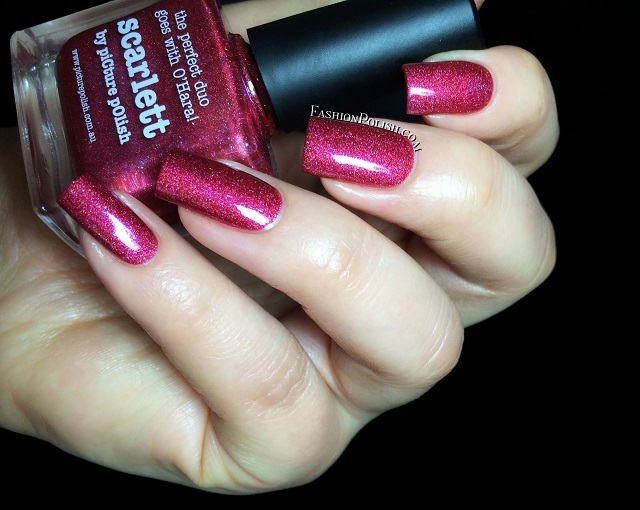 Scarlett by PP is a reddish pink holo packed with mostly blue, pink and gold shimmers. It's such a sophisticated color, so much depth and complexity, I love it! 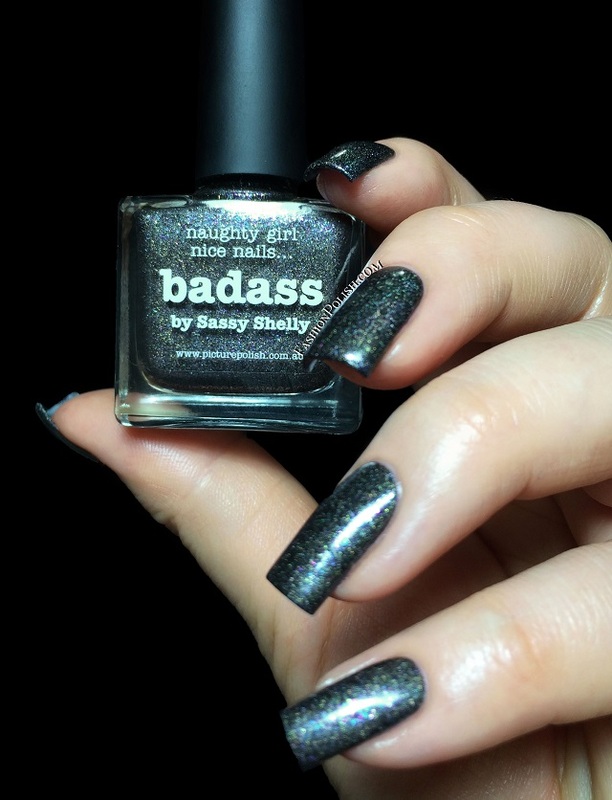 Badass by Sassy Shelly is a black holo base packed with rainbow shimmer sparkles. This one had the one of the strongest holo flames and the most visible shimmers. For a black nail polish lover like me it's just pure perfection in a bottle. You can read about the inspiration behind it here. 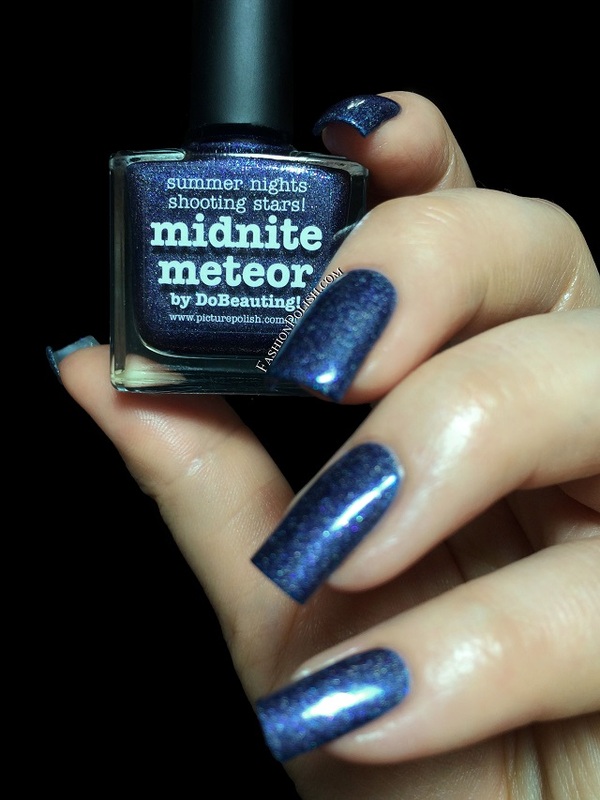 Midnight Meteor by Do Beauting is a dark navy, leaning blurple, holo with multicolor shimmers. The shimmer rainbow was harder to see on the nails (and on camera!) compared to Badass but it's a gorgeous blue anyway. Christina tells us about here inspiration here. 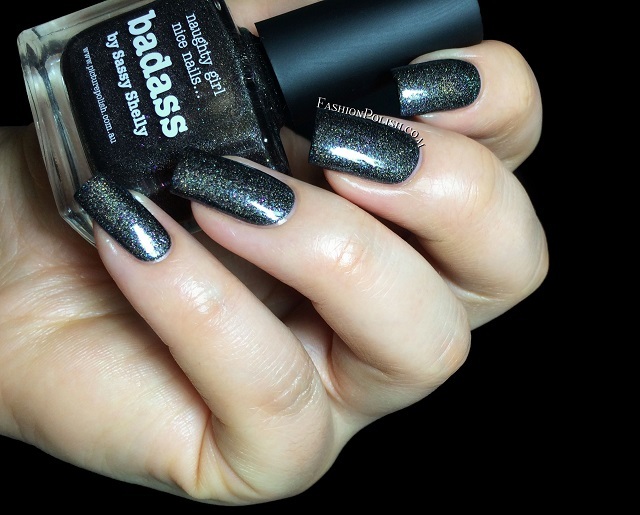 Hussy by Holographic Hussy is a dark purpe holo/shimmer combo. I'm really difficult with purples in general, I'm easily meh about anything not dusty/vampy but this one's beautiful. And the shimmers are really noticeable too! Read about Claudia's inspiration on here blog here. Pirouette by Tenshi No Hana is a antique rose holo with, again, (mostly) blue, pink and gold shimmers. It's a very subtle and delicate shade of pink, not girly at all, and a really nice take on the "bijou holo" finish. Samantha's inspiration can be found on her blog nails-art.fr here. 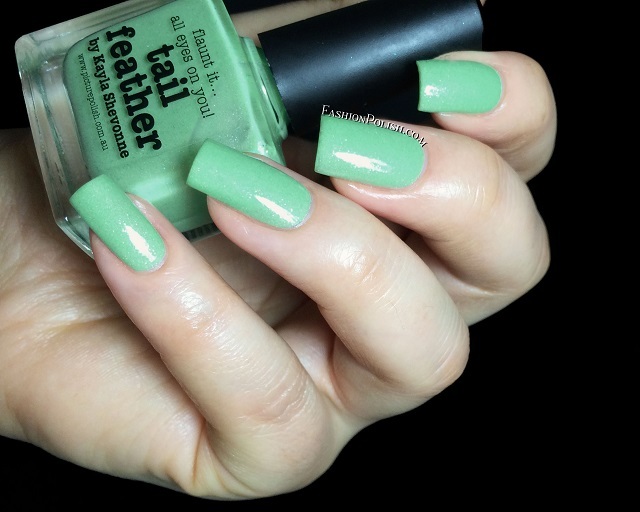 And finally Tail Feather by kayla Shevonne is a bright jade green packed with rainbow shimmer sparkles. I found it very flattering against my skin tone, no lobster hands ahead! Formula was creamier than the previous shades and a bit thicker but still very manageable. Kayla tells us about her inspiration here. So what do you think about this new "bijou holo" finish? Which one's your favorite? 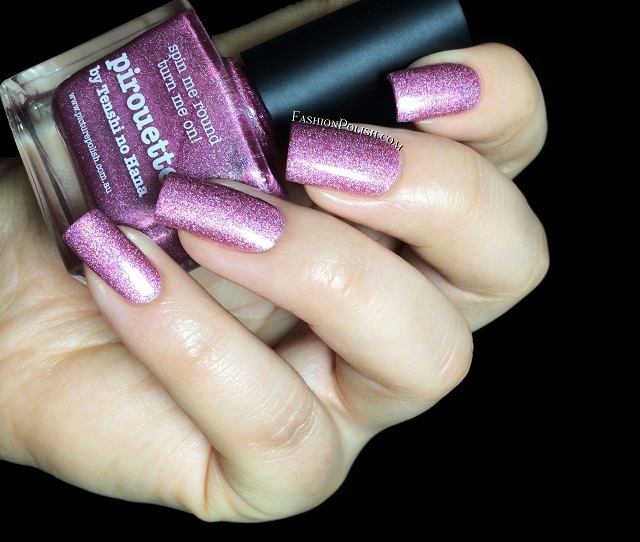 piCture pOlish can be purchased from piCturepOlish.com.au and through their international network.